With the holidays coming up, no doubt you are expecting guests or looking forward to parties with friends and family. Whether you're preparing a dessert to serve after Christmas dinner or bringing a dish along to a potluck party, it's nice to make sure everyone feels included. 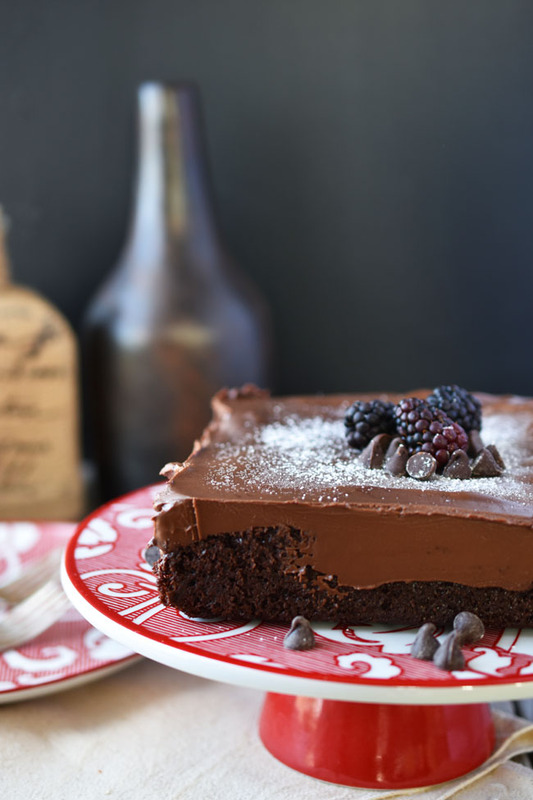 This luscious chocolate pie is the right amount of delicious and decadent for a holiday dessert. It's also vegan and gluten-free so it's a great offering for vegan or gluten-free friends and family. I made the pie crust and the cookie topping with these amazing flourless cashew cookies from Toronto's Sweets from the Earth vegan bakery. 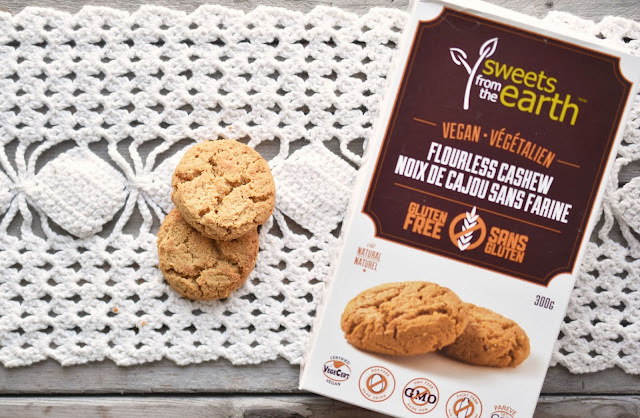 Sweets from the Earth fans and new friends will be glad to know that some of their items are now available to order online across Canada. That includes these rich and delicious flourless cashew cookies. Check out what's available in the online shop. 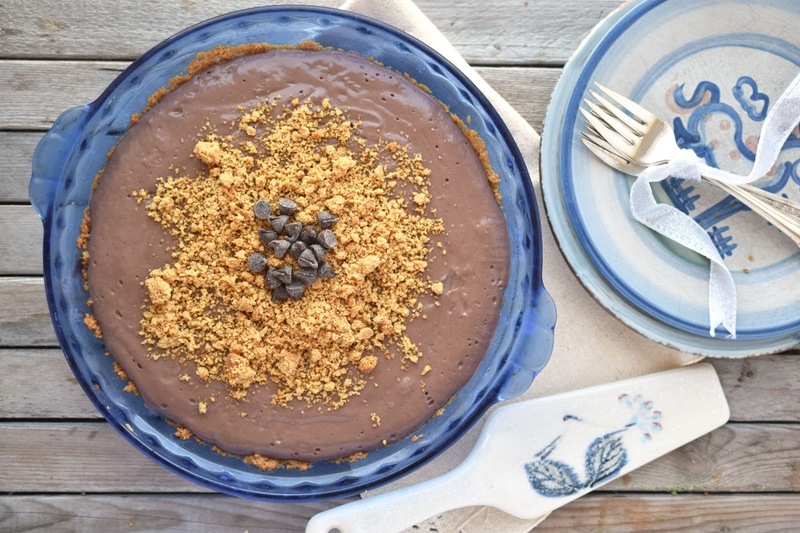 The crust for this vegan chocolate pie couldn't be easier to make - it's a simple mixture of melted vegan margarine and cashew cookies, briefly pulsed in the food processor and then pressed into a pie plate. Bake the crust for 10 minutes to brown it some and prepare it for the filling. The delicious chocolate filling is made from - believe it or not - tofu! I based the filling on a chocolate pudding recipe from an old cookbook that my husband and I still use and love - Tofu Cookery. (They released a 25th anniversary edition in 2008, so that tells you how old it is.) I used less sugar in the filling (things have changed a bit over the years when it comes to sugar!) I also lightened up the oil. 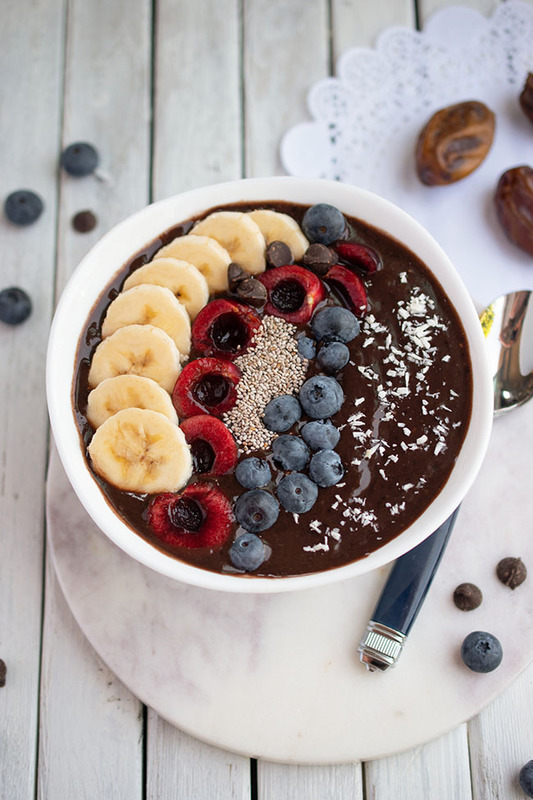 This pudding/filling is so easy to make - just blend the six very basic ingredients in a blender and you're done! I used medium-firm tofu. 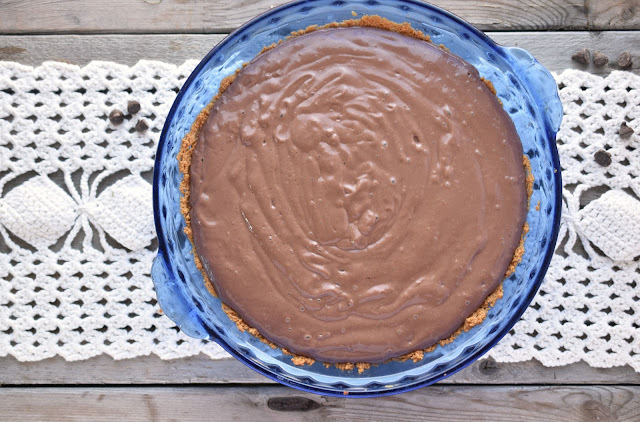 The pudding, once chilled and firmed up in the pie crust, makes a lovely silky chocolate pie. It's gently sweet and has a nice richness from the cocoa. What makes it even better is the crumbled flourless cashew cookies on top! I simply placed two of the Sweets from the Earth cookies in a sandwich bag and rolled a rolling pin over top a couple of times. I think the golden cookies contrast nicely with the darker chocolate. 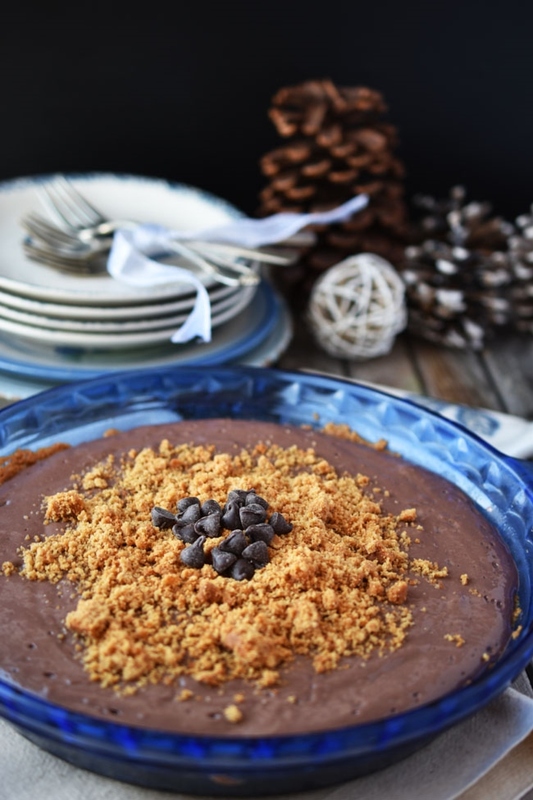 Of course, if you are in a hurry or just don't feel like baking, Sweets from the Earth has ready-made options like this rich and delicious gluten-free chocolate cake. I brought one to my friends' house last weekend. To dress it up a bit I put it on a cake plate and dusted it with icing sugar (powdered sugar) and topped it with blackberries and chocolate chips. 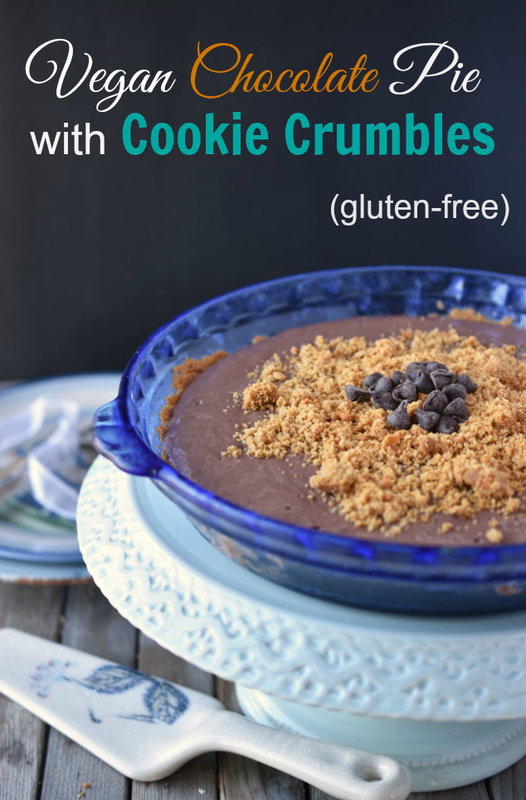 It worked perfectly as a dessert for the vegan, vegetarian and gluten-free folks. Everybody loved it. It can be a challenge to find tasty gluten-free treats. 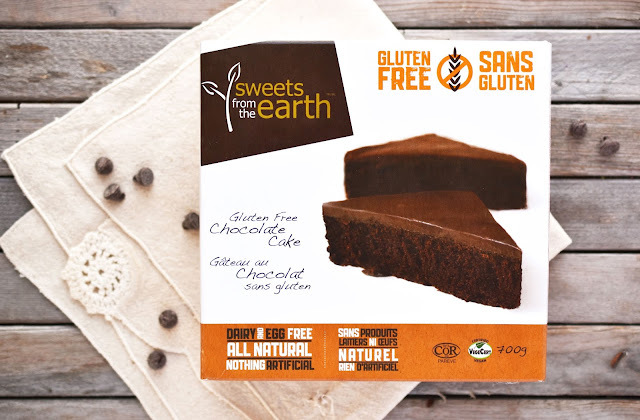 Whether you have a disease that requires you to eat gluten-free or you simply feel more healthy when you avoid gluten, Sweets from the Earth has delicious gluten-free desserts made just for you. For the items that aren't yet available online, use this store locator to find a store that carries Sweets from the Earth. 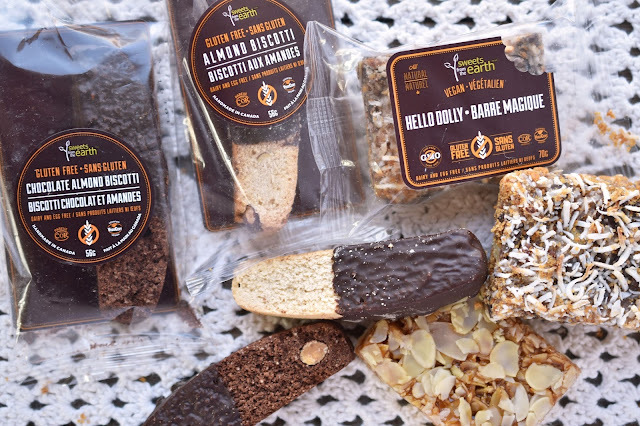 Their gourmet vegan and gluten-free cookie dough is amazing to keep in the freezer so you can have fresh-baked cookies whenever you want them. My daughter has been bugging me to bake up another batch! Fyi, the scrumptious Hello Dolly and caramel almond shortbread bars (pictured above) are available online. You'd never know they were gluten-free! Sweets from the Earth also offers a range of nut-free options. Read the bakery's allergy statement here. 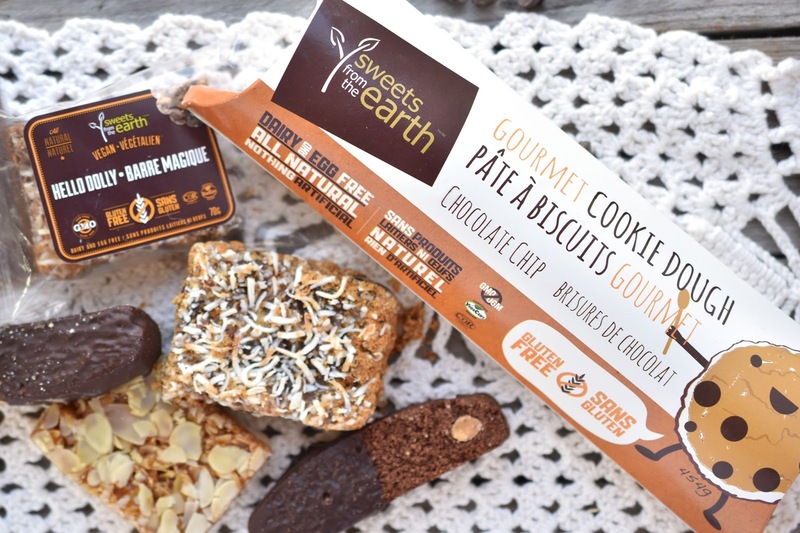 Get 10% off at Sweets from The Earth! 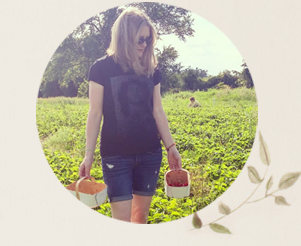 Sweets from the Earth is giving Woman in Real Life readers 10% off in their online shop! It's a great time to stock up on goodies to get you through the holidays. Use code WRL10 to get the discount – good until December 31, 2016. And read on for the recipe for this easy chocolate pie! Do you look for gluten-free treats for yourself or family members? Enter to Win a $30 Gift Certificate to Spend Online at Sweets from the Earth! Canadians may enter to win a $30 gift certificate to spend in Sweets from the Earth's online shop. Enter using the rafflecopter widget below until December 12th. Pulse cookies briefly in food processor until they make small crumbs. Add melted margarine and pulse 2 or 3 times until gently mixed. Press mixture into bottom and sides of a 91/2-inch pie plate. Bake for 8 to 10 minutes, until slightly browned on the edges. Put aside to cool. Blend all filling ingredients in a blender until smooth, stopping a couple of times to scrape down sides. 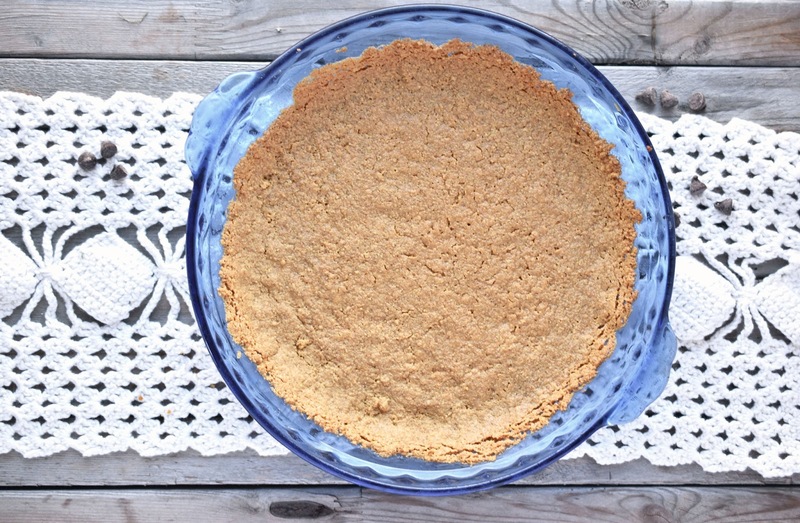 When pie crust has cooled, spoon filling into crust. Chill in freezer until firm. Place cookies in a plastic sandwich bag. Run a rolling pin once or twice over the bag until the cookies are crumbly. Sprinkle on pie. Store pie in the freezer. Remove from the freezer and let sit for a few minutes to soften before serving. I think we all make exceptions for sweets. ;) Thanks Alison! I buy gluten free treats for my family. I always look for gluten free treats for myself! I do look for gluten-free treats for my sister. We are making gluten-free brownies today for her. I do look for gluten-free treats from time to time. I often just make my own at home. Yes, it's hard when kids don't feel included. :( Nice of you to think about the GF folks!